Here at ActiveGearReview we have been avid Tailwind fans since our initial review of Tailwind Endurance Fuel in 2013 (full review available here). Tailwind is a Colorado based company that prides itself on being easy on the stomach, while also remaining gluten/vegan/soy/and dairy free. 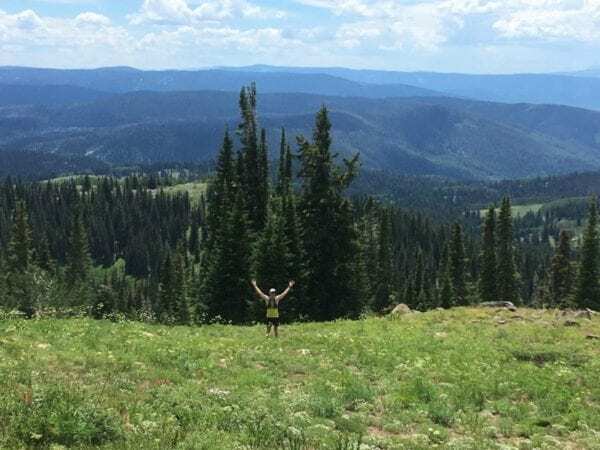 As an avid trail runner, I used to fall into that “crappy stomach” crowd that would lead to more frequent than I’d like to admit poor training runs and DNFs, which questioned my ability as a runner. Thankfully, the Tailwind founders had similar gut issues and did some much needed research and developed a product that aims to mimic what your stomach is able to absorb during exercise, is free of artificial flavors/preservatives, has an electrolyte profile that matches your bodies losses during exercise, and is easy to digest. Tailwind is a complete nutrition electrolyte drink. 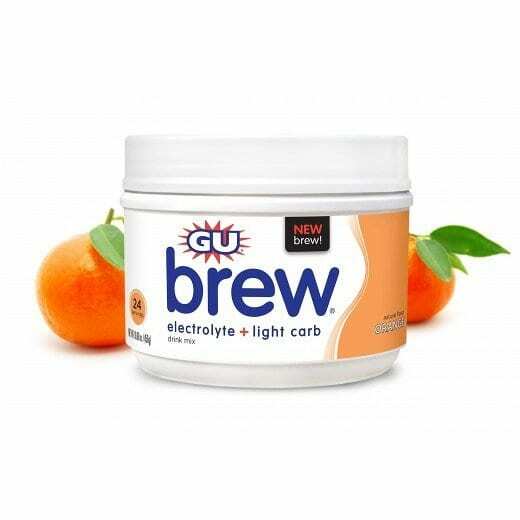 For some, it eliminates the need to utilize gels, chews, or GUs and for others it may reduce the amount they ingest at the aid station. I fall into the “other category” as I still need a bit of a boost or surge in the form of solids while running, but that is my personal preference and what works for me. But visit the Tailwind website and you will read numerous accounts of individuals utilizing only Tailwind for 10-24 hour events without the use of traditional foods. Tailwind accomplishes this by providing 100 calories for every serving or single scoop. The 1:100 ratio makes the math of calculating your energy needs quite easy when your brain might be foggy from exertion. For long exercise, Tailwind recommends 2-3 scoops for every 24 ounces of water. I use a 50 oz bladder for most long days on the trail or for races with little aid support; 4 scoops in the bladder and voila, I am set with an easy to sip, light tasting hydration fuel. Tailwind can be found on many race courses, including our local Steamboat Springs Running Series. 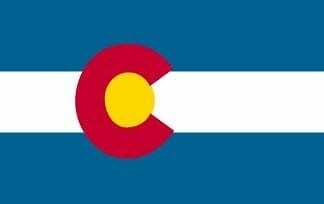 It’s always nice to know that the drink that I am drinking is not only Colorado proud, but Colorado supported as well. If the race is not supported with Tailwind, there are now 2 serving stick packs that provide 200 calories that can be carried in your pack or placed in a drop bag if racing. Easy on the stomach, easy on the bladder. Tailwind doesn’t leave a residue in your mouth nor your bladder reservoir or hose. Many electrolyte drinks leave a hard to clean byproduct that requires you to scrub and soak the hydration bladders, otherwise the left over is a perfect place for mold to set up shop, GROSS! As you can see, Tailwind is easy to use from start to finish. For those that are coffee addicts (like me!) 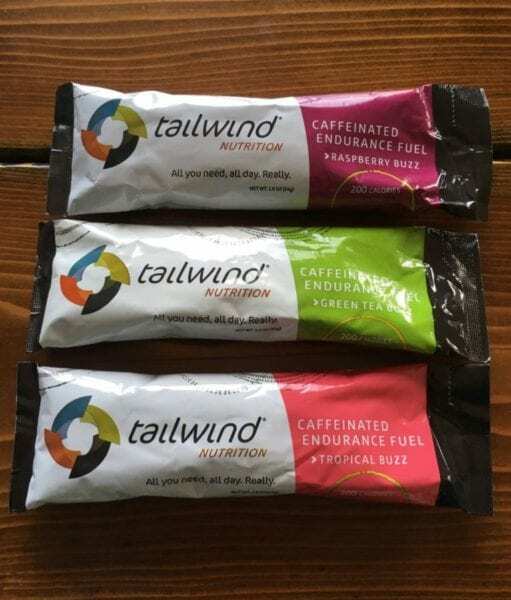 or you enjoy and believe in the benefits of caffeine during exercise, Tailwind now offers 3 tasty flavors that include 35 mg of caffeine per serving. The addition of caffeine is perfect for early morning adventures when I haven’t the time to get my eye opener in before hitting the trail. The Tailwind Caffeinated Endurance Fuel is available in Raspberry Buzz, Green Tea Buzz, and Tropical Buzz. The consistency of the drink doesn’t change with the inclusion of caffeine, and the new flavors are nice if you are looking to mix it up. Raspberry Buzz is my favorite, as it tastes the same whether its’ cold or warm from sloshing in my pack. 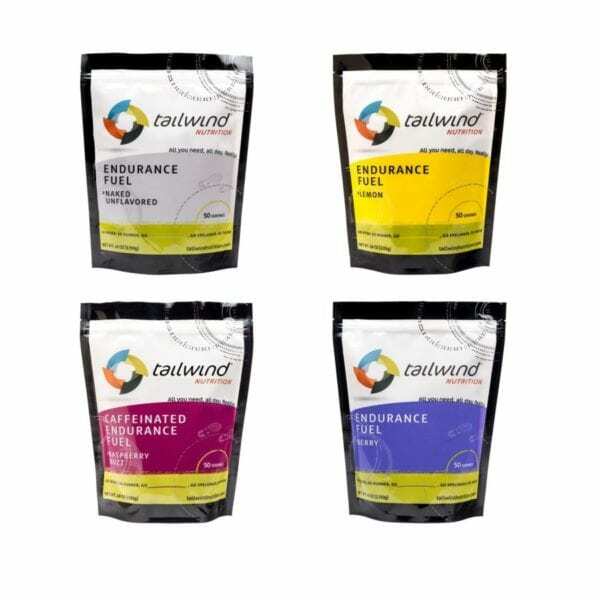 The original Tailwind Endurance Formula is available in Berry, Lemon, Mandarin Orange, and Naked (which I have yet to try). 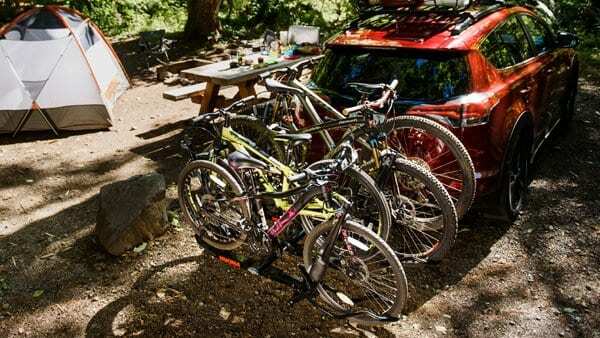 Both Tailwind beverages are available in 30 or 50 serving bags or in the 2 serving stick packs for portability. 50 serving bags are the best deal and retail for $35.99 for the traditional Endurance Fuel and $38.99 for the Caffeinated Endurance Fuel. Fortunately, Tailwind is now available throughout the country. Visit the Tailwind website here to find a store near you. If that fails, shop online at Tailwindnutrition.com and receive free shipping on orders over $49. If you aren’t sold yet on Tailwind, then try the Tailwind Challenge: pick up to 4 different flavors and give them a try during your training and any upcoming races, no matter the type, running, cycling etc. 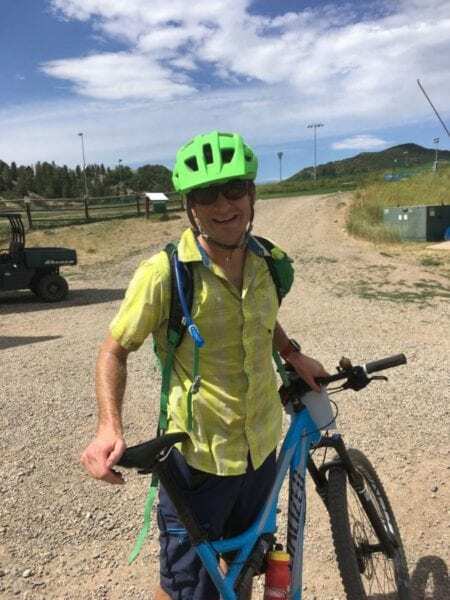 As the website states, “If Tailwind doesn’t make you stronger, happier, and less stressed during training and at your next event, we’ll pay your entry fee.” The fine print is that the entry fee is up to $150, which is a great deal if you don’t like it. Give Tailwind a try, and you will likely be very happy that you did.